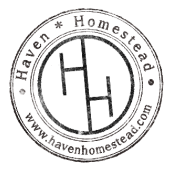 Here at Haven Homestead, one of our major goals is to become educated, and to educate all who are interested in living a sustainable life. Here we will post classes and events that we are participating in, or that we are hosting ourselves. Unless otherwise noted, the classes here at Haven Homestead will be held in our outdoor classroom, so make sure you dress appropriately for the weather. All classes will be held rain or shine! If you can think of any classes that you would like to see us host, or if you have info on a must-attend event for us, please let us know! Email us at havenhomestead2009@gmail.com. This two part workshop will teach you all about caring for meat rabbits and how to process them for meat and fur. As always, we'll be focusing on sustainable respectful practices. The first part of the class will be a lecture on caring for your rabbits and how to process them. The second part will be a hands on demonstration of how to respectfully process your bunnies and their pelts. 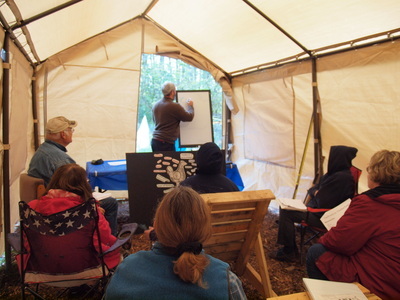 This class will be held at Haven Homestead, 3479 Centralia Alpha Road, in our outdoor class room. Make sure you dress appropriately for the weather! Below you'll find a list of available class dates. Please register for this workshop through Centralia College. For more information visit http://www.centralia.edu/academics/cont-ed/. Part 2, Noon to 2 p.m.
Chris and class members at our first ever Rabbit Care Workshop. 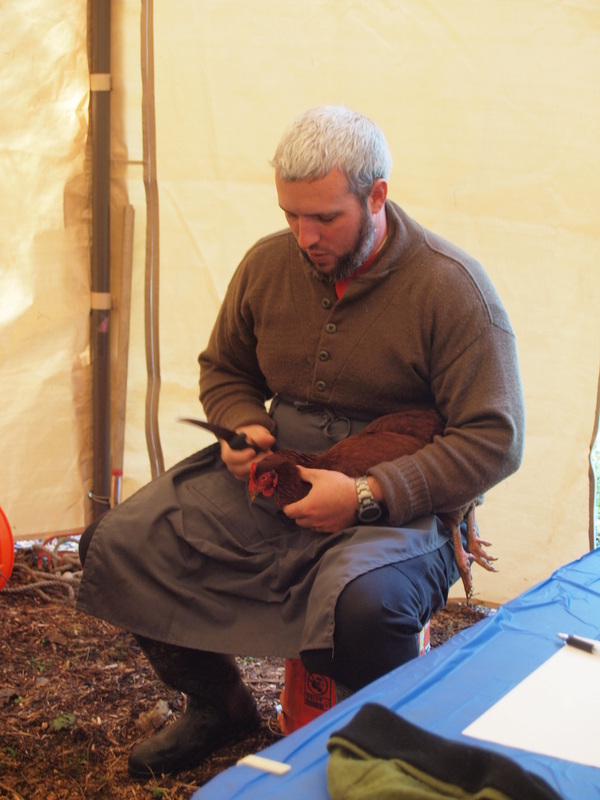 This two part workshop will teach you how to care for your flock in a sustainable way, and how to process your birds once they've lived a long full life. In the first part, you'll discover different ways to house and feed your chickens to get the most from your wallet, and give your birds the best life possible. 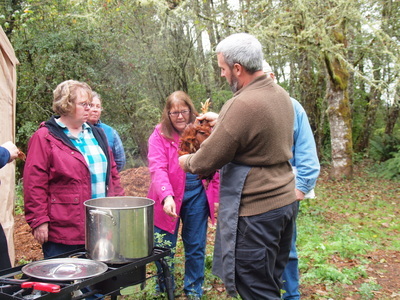 In the second half, you'll learn about the anatomy of the chicken, and how to process your bird humanely, and economically. 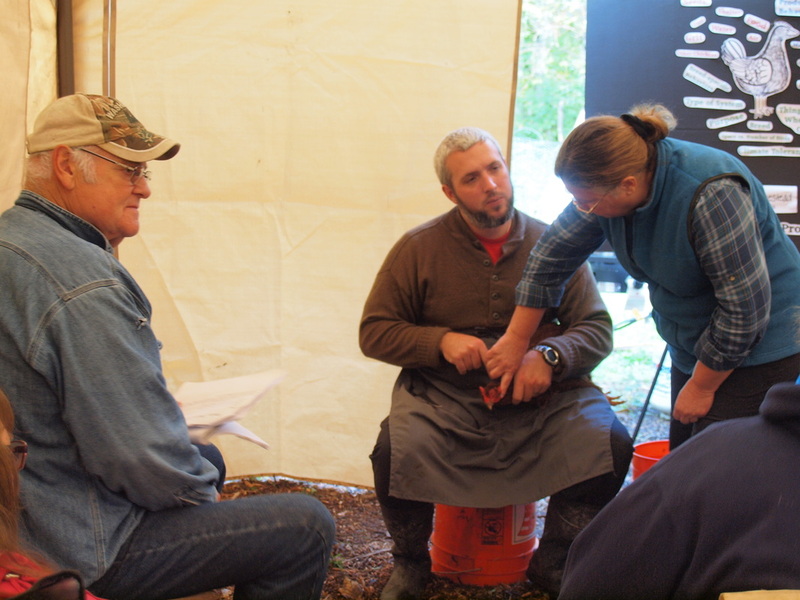 Participate in several demonstrations, including how to properly clip wings and how butcher, and take home some goodies! This lecture and demonstration class will teach you about some unique, sustainable planting techniques that will improve your gardening experience. With a few simple tips on how to implement no-till, mulch, and natural fertilizers you can reduce your costs and improve your garden yield! We'll talk about hugelkultur, herb spirals, mulch gardening, seed balls, companion planting and more. 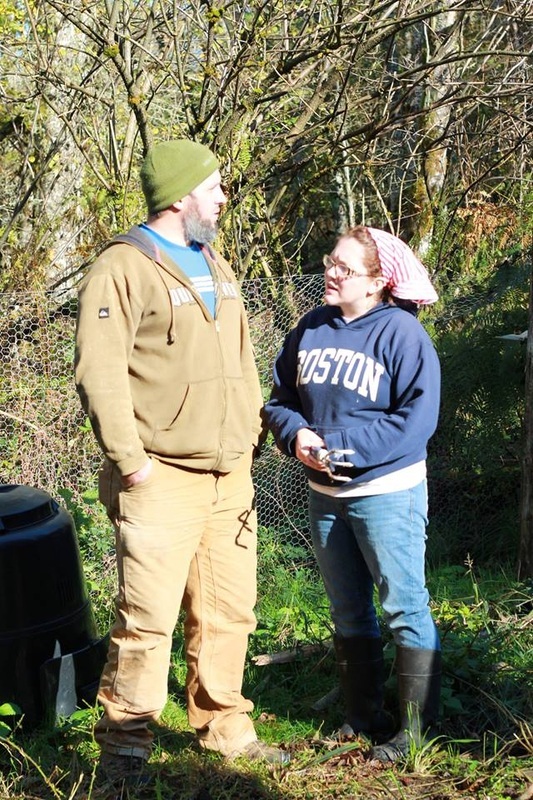 Chris and Lindsay explaining the benefits of mulch at the free mulch garden workshop in November 2014. Our little town of Onalaska has a festival every first Saturday of October. This year the festival will be held on the 4th, and we are totally stoked! It's free to come, but be sure to bring some spending money so you can support local businesses, artists and crafters by buying some totally sweet stuff. Come and learn how to get the most from your garden with mulching techniques. No registration necessary, but let me know if you are coming so I can make sure there's enough lunch to go around!